You may remember that 2 years ago we posted a story about the announcement on the Dolby Avid partnership and then it all went quite. Well, it seems like a swan, where very little appears to be happening above the surface, but underwater there has been furious paddling. In this case it started with Avid spending time with key users in film post production business, exploring where their pain points where and then Avid working closely with the team at Dolby, including some under-the-bonnet work from Dolby to produce a very tightly integrated solution to be able to offer Avid Dolby Atmos integration for Pro Tools HD. Avid Announce Pro Tools HD As "The Only DAW To Natively Support Dolby Atmos Mixing"
Avid are announcing at Avid Connect on the run up to NAB 2017 in Las Vegas that Pro Tools HD will be able to support and mix natively in the 10 channel Dolby Atmos format 7.1.2 with Avid promoting this as the "only DAW to natively support Dolby Atmos in the box." Update: we have been informed that other DAWs also offer this so we've added this claim in quotes and will await clarification from Avid. As part of this support for Dolby Atmos workflows inside Pro Tools HD, Pro Tools will have support for Dolby Atmos Object mixing, using either a software render unit or the normal Dolby hardware render unit, using plug-in streams for the software render unit or MADI streams for the Dolby hardware RMU together with the necessary metadata streams out of Pro Tools into the software or hardware render units. You will be able to address all the Dolby Atmos objects from one or more Pro Tools systems, as well as the option to go between the object and bed mixes, all within the Dolby Atmos workflow within Pro Tools HD with on-the-fly and automatable switching between the 7.1.2 bed stems and the object outputs. There will also be a 7.0.2 stem option as an internal stem format option, just as we have non-LFE stem options in 5.1 and 7.1 mixing. There is going to be one universal panner that supports both stem and object tracks so no need to have to copy automation data across from one panner to the other, it will be one universal manner fro both bed stems and object tracks. To further integrate the Dolby workflow into Pro Tools HD, Avid will be adding re-recorder dubbing for the Dolby Atmos metadata whether that is for automation or object metadata into the Dolby RMU. Prior to this, you had to run a pass from top to bottom to get the audio and metadata out of Pro Tools into the RMU. With the new Dolby Atmos integration feature set, you will be able to drop in and patch a section and the metadata will go with it, so no need to have extra dubbers in the way as work rounds, everything will work in the box, so you will no longer need to do an automation pass at the end of your mix because now the automation and metadata are being updated on the fly just like Pro Tools has done for ages with conventional automation with Touch etc, the Dolby Atmos metadata workflow will be built into the workflow within Pro Tools HD. For example, you could have a system with 3 playback Pro Tools systems feeding one record system and the RMU and all the Dolby automation and metadata can come from the playback systems across to the record system and the Dolby RMU. Avid are announcing what they describe as ‘deep integration’ for Dolby Atmos workflows for the Avid control surfaces like the S6. The aim is that all these workflows will be built into the S6 control surface with Avid presenting this as the “most affordable way to do a Dolby Atmos theatrical mix", as this is designed to bypass the need for a dedicated console to handle everything, now Avid's plan is to be able to produce a full Dolby Atmos theatrical mix completely in the box, no console required. Avid will be providing support for the ADM BWAV file format. The plan is to have this one archivable, re-purposable file format that Pro Tools will be able to read and open out to Dolby Atmos object tracks with all the object metadata. 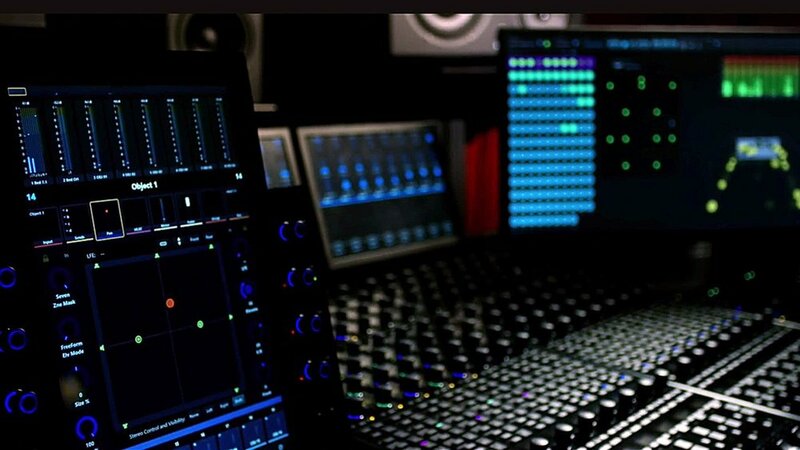 Avid are working with plug-in developers like Exponential Audio so that 3rd party developers will have plug-ins that support the 7.0.2 and 7.1.2 formats and the Dolby Atmos workflow around the time that Avid releases a version of Pro Tools HD with the Dolby Atmos integration. Avid are not specifying version numbers or when these new features will be released at this time, but because of corporate regulations, these features will have to be released within the quarter so we can expect releases with these features in them by the end of June 2017.